One of the problems that we often don't recognize is just how powerful ad targeting can be in determining the future culture of a society. Or rather, we do actually know that advertising changes the way people think, but we kind of ignore the potential damage this might cause. Let me give you a simple example. When you place an ad on Facebook (or any other site), you are given a huge set of choices of how to target this ad. You can define a geographic area, age, gender and many other factors. This seems perfectly natural. Why shouldn't you be able to target an ad just for men, if the product you make is something that mostly men use? It wouldn't make much sense to target it to women, would it? But this is often where things go wrong and causes damage to our society and our market. Not in the short term, but in how men and women perceive their options for generations to come. As we all know, women are making great progress as scientists. And, in many fields of study, women are now almost at the point of equality. 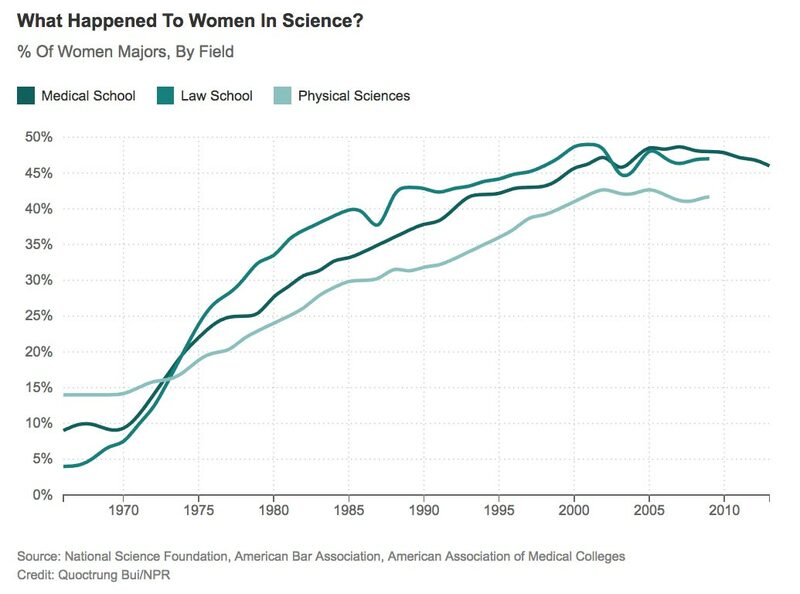 Here, for instance, is a graph made by NPR illustrating equality of women in the fields of medical, law and physical science. And it's absolutely wonderful to see how much progress we have had since the 1970s. We see the same thing in computer science between the 1965 and the 1980s. 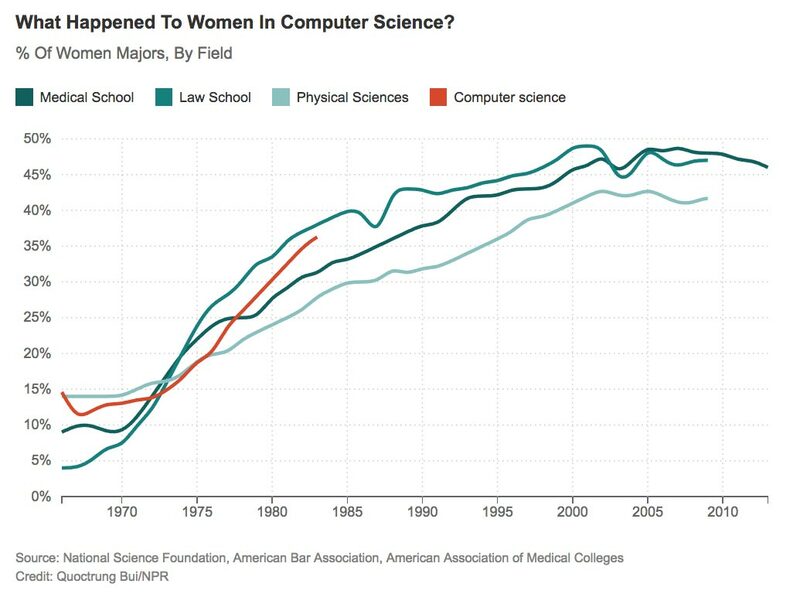 Just look at this graph illustrating how the tech industry embraced women, and how quickly women started getting a taste for this new industry. If we look at the early ads of the 1970s, we see how they are generally gender neutral. Computers were presented as a learning tool for both boys and girls, or as a new tool for the whole family. The result was that women were getting just as interested in becoming computer scientists as they were in other forms of science. 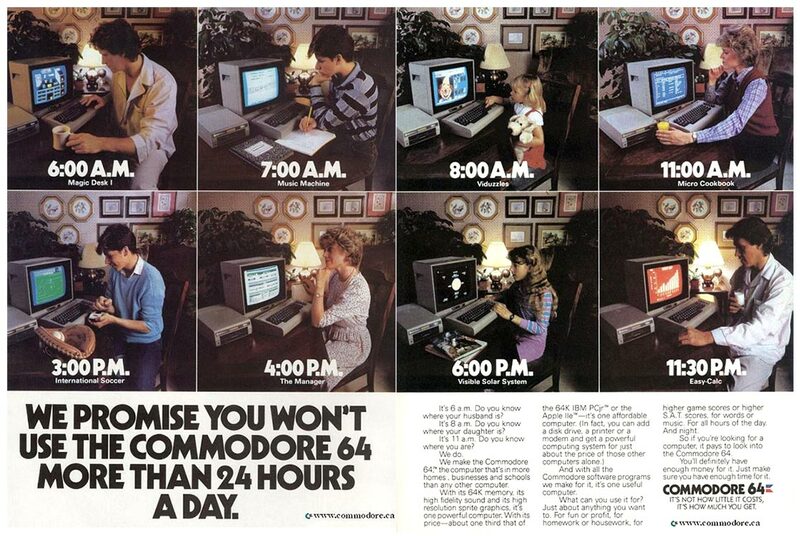 But, as we all know, during the 1980s, there was a shift in how computers were promoted and perceived. Suddenly girls no longer played with computers. Now it was only a toy for boys. Advertising shifted to a much more male dominated focus, and computer ads were targeting only to men. The result was a rather dramatic shift in who wanted to be computer scientists. 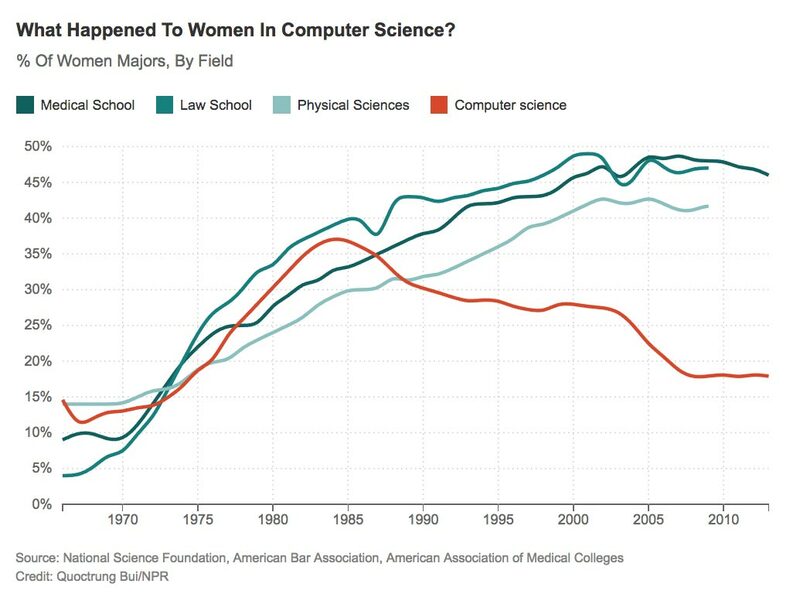 Since young girls no longer wanted to learn how to use computers, the share of women with a computer science degree dropped. And today, only about 17% of all computer scientists are women. This is scary because what happened here is the long term effect of gender targeting, and how it damaged an entire industry. And today, the tech industry has a massive problem with gender inequality. Not only are we struggling to get more women to code, we also see huge issues with harassment. So, targeting something by gender, is a massive problem. Of course, this is not just true for computer science. It's true for everything. Imagine that you are a company that is selling saw blades. How would you target your advertising. Would you target it towards men or women. It's exactly the same as with tech. The industry is targeting men only, and because of that is telling women that this is not something for them. And the outcome is the same as well. The woodworking industry is now heavily dominated by men, and the few women who venture into it are often met with sexist remarks. Targeting by gender is just a terrible idea. We also see this effect in the media. Today, there is a movement to get more women to become woodworkers (just as there is a movement to get more women to code), but the media doesn't quite get it. As you can see, the focus of the story is pretty good. It's trying to motivate women to build things, and Laura Monteverdi presents this in a good way. But she slips up several times during the broadcast and goes back into the 'women aren't confident' mode. She says it's pretty intimidating (you would never say that to men), she is focusing on newbies and only on the basics, and then she says, "We got to pick out the wood, but we might need a man's help". It's great that she is covering this story as a journalist, but it's also so far from where we need to be. What we need instead are women who can inspire because they are awesome. One example is April Wilkerson, who in this video is building an outdoor shower stall. Look at how different this is from the story presented by the media. This is the type of narrative that we really need to focus on. We need to stop thinking about gender and start to think about people's interest and what they are inspired to do. Imagine a young girl who is just discovering the world. And imagine her seeing videos about woodworking and getting excited about it. Then imagine her browsing woodworking sites where she is presented by male dominated advertising. What do you think happens inside her brain? Will she press on, or will she start to think, "Oh, woodworking is just for boys. I should play with my dolls instead so I can learn how to dress up and look pretty." This is what gender targeting does in the long term, which is why we should stop doing it. Mind you, this doesn't just apply to gender. It applies to many other forms of targeting as well. Anytime you are 'labeling' people, instead of their actual interest, we risk causing the same problem. Another example is when brands start to target people by race. In the US, for instance, we see a big problem with race, specifically in terms of income, types of jobs, education, etc. So, just like with gender, it's incredibly important that we don't target people by race to make sure everyone has equal opportunity. So, I was very surprised when I came across an article over at ProPublica titled: "Facebook Lets Advertisers Exclude Users by Race". 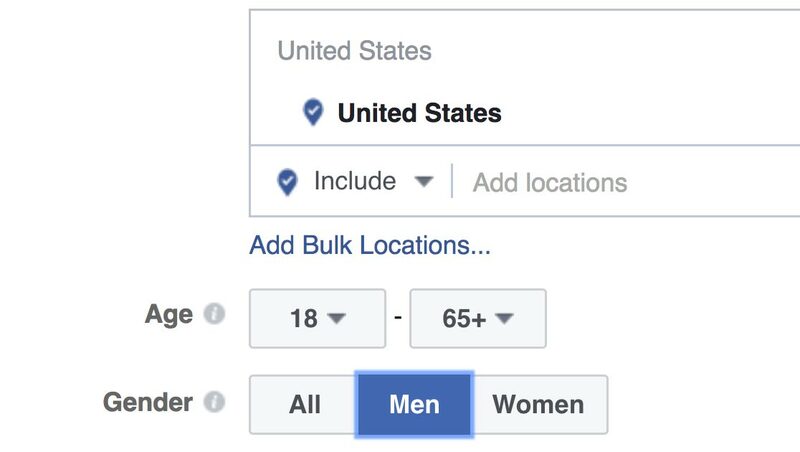 It turns out that within Facebook's many targeting options, you can exclude by 'Ethnic affinity', and what's even worse is that you can exclude blacks, asians and hispanics, but you can't exclude people with a 'white' affinity. Seriously, Facebook? Who thought this was a good idea? Note: After many articles in the media, Facebook has since update their ad targeting so that you can't do this for certain type of ad listing (like Realestate), but it's still an option for everything else. And the problem is the same as before. If we start to 'exclude' black people from certain industries because we think it's more relevant for white people, we will end up with the same problem as what we see with women in the tech industry. There are many cases where it sounds like it would make sense to target a specific ethnic group. For instance, the newly opened Smithsonian National Museum of African American History and Culture might think that, in the short term, targeting people with an affinity towards African Americans would create better advertising ROI ... and it probably would. But it's a terrible thing to do in the long term. We need to stop targeting people by labels. It might sound like the right thing to do in the short term, but, in reality, you are damaging your market in the long term. But the reason I'm telling you this is not just because I'm concerned about this. It's also because, as a media analyst, I consider this to be a critical element for the future success of publishers. Most traditional publishers have defined their magazines and their content in terms of gender. 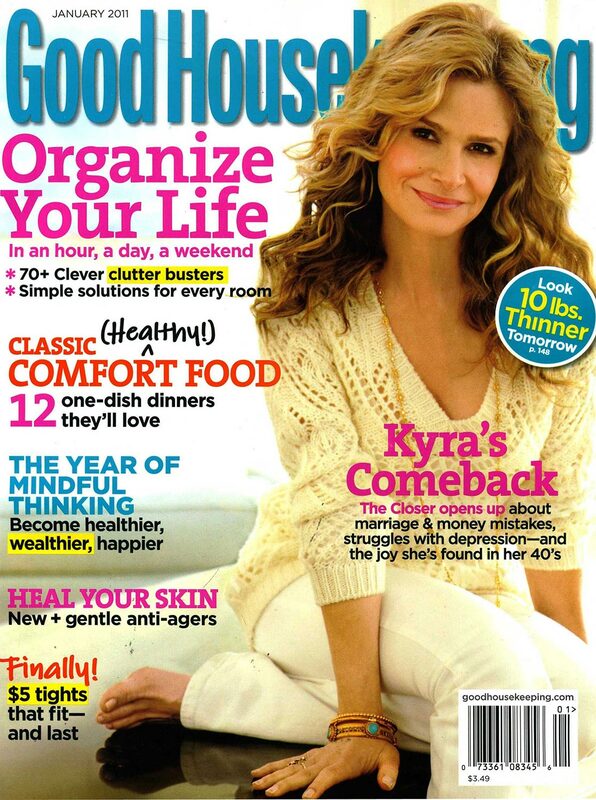 We have magazines like 'Good Housekeeping' designed for women, which is then filled with all the things that women should do ... like cooking, putting on makeup, losing weight, or making sure the house looks pretty. And then we have magazines for men, like GQ, focusing on doing manly things. Like cars, gadgets and tech things, 'being a man', reading about wars and looking at naked women. Yeah... Okay, I'm exaggerating here, but you very clearly see how gender is the focus of how these magazines are targeted. This is the traditional way of thinking about publishing. In the old world, everything was created as a package of random content, thus you needed something else to target your focus around, like gender. In the digital world, however, we don't really see this because here the topic is the number one focus. You don't see YouTube channels with a little bit of everything for a specific gender. Instead, every YouTuber is focusing on just one specific niche. Focusing on gender makes no sense. If you have a food channel, why limit it to only women? Why not focus it on anyone who are fascinated by food? We see let's players focus on the games they like best. So we have female YouTubers playing the new Batman game, and we have male Youtubers playing the new Batman game. Gender isn't important. It's the passion that matters. And, as I illustrated above, we have woodworkers like April focusing on just making amazing things. This is a very important shift in the media. The old formats of men's or women's magazines are quickly becoming a thing of the past. And today the focus is to inspire anyone who are interested in just that one thing. This shift is happening to publishers, but it's also happening to brands and advertising. Don't focus on labelling people. Don't focus on gender or race. Focus on what inspires people, and allow anyone interested in that topic to feel awesome about it. Oh, and don't target 'millennials' either. It might not have a damaging effect to your market, but it's just as stupid.